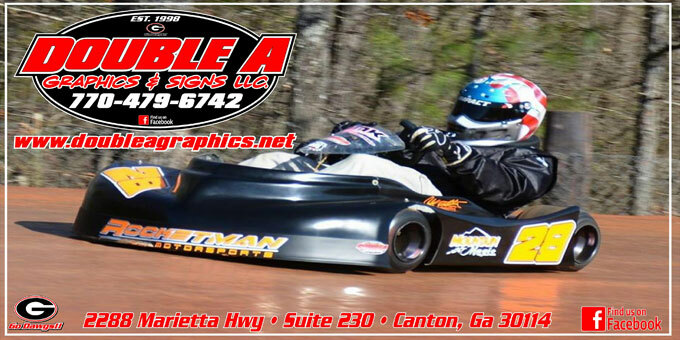 We are the source for all your graphics, signs and business promotion needs in North Georgia. We are a local small business located in Canton, Georgia. We are here for all of your advertising needs. My name is Andy Rittenberry. I’m a native of Pickens County and a 1992 graduate of Pickens High School. In 1989 I moved to Canton, GA to help my Grandpa. I have one son named Brett, who is 15 years old. I was born and raised in Georgia, I love the Georgia Bulldogs, racing and I love to hunt and fish. I’ve raced go-karts for over 30 years and I was always in need of graphics, so in 1998 when I had a chance I bought my equipment from the man who was doing the graphics on my kart. Before I knew it, what had started out as a way to keep my go-kart up had turned into a full-time job! I feel that the success of Double A Graphics, LLC has come from charging a fair price and using high quality materials. 95% of my business comes from satisfied customers recommending me to their friends! To all of my customers who have referred me, THANK YOU VERY MUCH!! I’m a just small business owner trying to make an honest living, so if you need anything to promote your business just give me a call, and I will strive to make your image one we can both be proud of! I don’t say that I am the best or can do any type of sign. I just do what I can and take care of the small guy and his business. If it’s not listed on here just call the office and we can get you the info you need.